The NODE2 is an Ethernet to DMX interface. Two front mounted DMX512 ports can be configured as either input or outputs. The standard unit is provided with two female DMX output connectors. 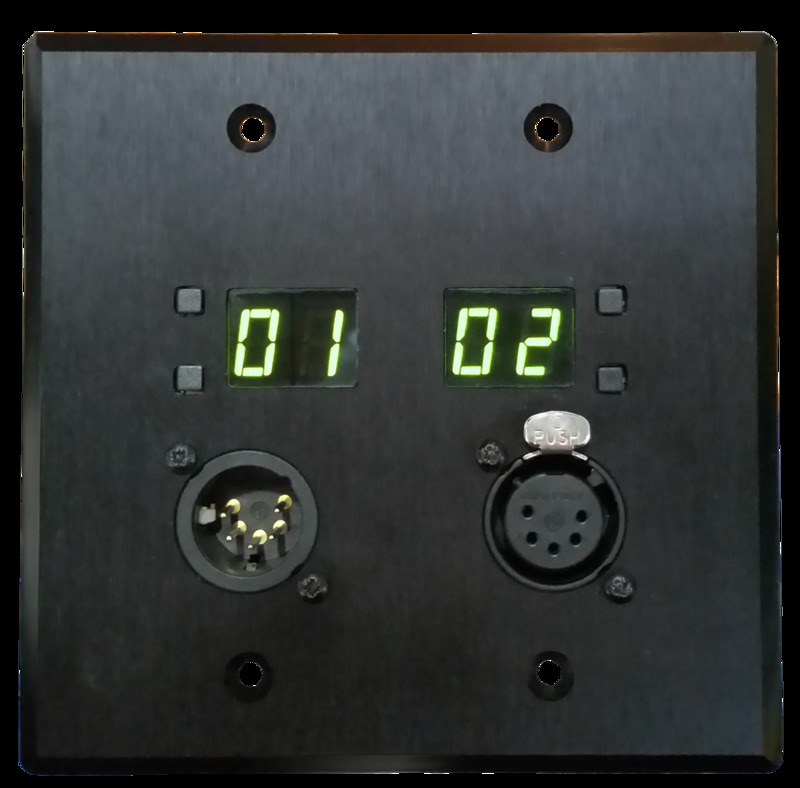 Each port has an associated two-digit display with up/down push buttons which are used to select the DMX universe number for that port. This allows easy system configuration in the field without the need to connect a computer. 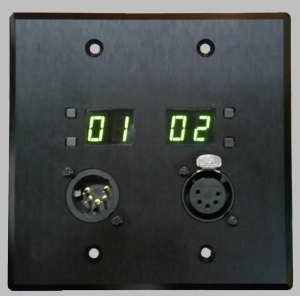 DMX universes 1 – 99 are accessible using the buttons and displays. For security, the DMX universe selection cannot be changed while a cable connector is inserted. NODE2 can also be configured using a web browser. When ports are configured for universe numbers above 99, the local buttons are locked out from modifying the configuration. This allows for more tightly controlled installations when needed.